This Chaise Style Storage Pet Bed is currently selling for just $59.99 on BeyondTheRack.com in their "Pampered Pets" Sale! 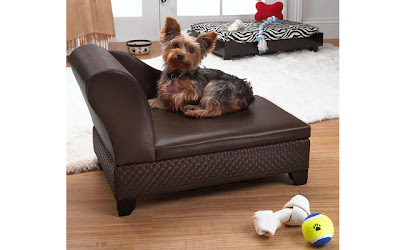 You will be saving 60% off the listed price of $149.99 with this pet furniture deal. This sale ends on 4/22. More about this stylish dog bed . . . Approximate Measurements: 13" x 21.75" x 14"
Weight Restrictions: Up to 10 lbs.